In a recent video clip released by the NPA in Southern Mindanao, Prisoner of War Police Chief Inspector Arnold Ongachen described the Red Army’s campaign of rehabilitation of drug users and appealed to the AFP to cease their so-called rescue operations and make way for the resumption of the peace negotiations. POW Ongachen said that during the first few days of his custody, he noticed that there were people also being held by the Red fighters. He later found out that these were drug users being rehabilitated by the NPA. Ongachen was arrested by the NPA last May 29, 2016 during its raid on the PNP station in Gov. Generoso, Davao Oriental. Sanchez added that even during the Duterte government’s shortlived unilateral ceasefire that ended yesterday, July 30, AFP troops in the region were still conducting widespread combat operations in clear violation of their Commander-in-Chief’s order. “While the NPA in the region is still committed in the peace process in accordance with the directives of the national leadership and the CPP, we are bound to defend the Red army and the people from the attacks of the AFP, PNP and paramilitaries,” he concluded. I am PCI Arnold S. Ongachen, chief of police of Gov. Generoso Municipal Police Station. According to them, the attack was undertaken because of reports of the worsening drug problem in Gov. Generoso and that it is one of their tasks, the anti-drug campaign. On the first 5 days of my custody, I noticed other people who were also being held in custody by the NPA. I later found out that they were shabu users that the NPA are trying to rehabilitate from drug addiction. The NPA feed and take care of these addicts until they are able to overcome their addiction. At first, I thought they were criminals. But when they took me in one of the communities, I noticed that the masses love the NPA and entrust their houses to them. We keep transfering houses in the community and all the people there respect the NPA. What I am asking from the AFP is to cease their military operations and make way for peace talks that has long been the clamor of our countrymen. I hope that we give peace talks a chance so that we would know and understand why our fellow Filipinos are taking up arms against our government. This is a long standing problem that most of us do not understand. Sa bag-ong gula nga bidyo sa NPA sa Southern Mindanao, gihulagway sa bihag-sa-gubat nga si Police Chief Inspector Arnold S. Ongachen ang kampanya sa rehabilitasyon sa mga sugapa sa iligal nga droga ug nag-apela sa AFP nga hunongon ang ilang “rescue operation” ug hataga’g dalan ang pagpadayon sa negosasyong pangkalinaw. Gisaysay ni POW Ongachen nga sa unang mga adlaw sa iyang pagkabihag, iyang nakita ang mga user sa droga nga gina-kustodya usab sa mga Pulang manggugubat. Iyang nasayran nga ang maong mga user gina-rehab sa NPA. Gi-aresto sa NPA si Ongachen niadtong Mayo 29, 2016 atol sa reyd sa istasyon sa PNP sa Gov. Generoso, Davao Oriental. Nanawagan usab si POW Ongachen sa AFP nga hunongon ang ilang mga operisyong militar sa mga komunidad ug “bigyang daan natin ang peace talk upang malaman natin at maintindihan kung bakit nakikipaglaban ang mga kapwa natin Pilipino sa ating gobyerno ngayon.” Padayong nag-atubang si POW Ongachen sa imbestigasyon kalabot sa iyang kalambigitan sa iligal nga droga sa Gov. Generoso ug sa probinsya sa Davao Oriental. Sanchez added that even during the Duterte government’s shortlived unilateral ceasefire that ended yesterday, July 30, AFP troops in the region were still conducting widespread combat operations in clear violation of their Commander-in-Chief’s order. “While the NPA in the region is still committed in the peace process in accordance with the directives of the national leadership and the CPP, we are bound to defend the Red army and the people from the attacks of the AFP, PNP and paramilitaries,” concluded Sanchez. Dugang ni Sanchez nga bisan panahon sa mubong unilateral ceasefire sa gobyernong Duterte nga nahuman gahapon, Hulyo 30, ang mga tropa sa AFP sa rehiyon nagpadayon sa kaylap nga operisyong kombat nga tataw nga paglapas sa mando sa ilang Commander-in-Chief. “Samtang nagpabilin ang atong kaandamon alang sa hisgutanang pangkalinaw sa rehiyon subay sa direktiba sa nasudnong pamunuan ug sa CPP, matngon ang NPA sa rehiyon nga depensahan ang atong Pulang hukbo ug ang katawhan batuk sa atake sa AFP, PNP ug mga paramilitar,” iyang panapos. Ako po si PCI Arnold S. Ongachen, chief of police ng Gov. Generoso Municipal Police Station. Ayon sa kanila, ang pag-atake ay dahil sa ulat na malala ang droga sa Gov. Generoso at ito ay isa sa kanilang mga tahas, isa sa kanilang mga gawain, ang anti-drug campaign. Noong unang 5 araw ng aking pagkabihag, napansin ko ay may mga tao na naka-kustodiya sa kanila. Ito po pala ay mga user ng shabu na tinutulungan nilang maka-iwas at malabanan ang pagka-addict sa ipinagbabawal na gamot. Kanila po itong pinapakain at inaalagaan hanggang sa masupil na nila ang pagka-addict sa iligal na droga. Noong una po, akala ko po ay sila po ay mga kriminal, pero noong isinama nila ako doon sa lugar kung saan may komunidad, napasin ko na mahal sila ng mga masa at ipinagkakatiwala ng mga tao ang kanilang mga bahay para sa NPA. Palipat-lipat po kami sa mga bahay sa komunidad at lahat po sila ay malaki ang respeto sa NPA. Ang hiling ko lang po sa AFP ay ihinto na po ninyo ang inyong military operation at bigyang daan natin ang peace talk na matagal nang hinihiling ng mga kababayan natin. Sana po ay pagbigyan natin ang peace talk upang malaman natin at maintindihan kung bakit nakikipaglaban ang mga kapwa natin Pilipino sa ating gobyerno ngayon. Ito po ay matagal ng problema na hindi po naiitindihan ng karamihan sa atin. The Communist Party of the Philippines (CPP) welcomes President Duterte’s call for cooperation with the revolutionary forces against widespread drug trafficking. Indeed, the revolutionary forces have long been carrying out a campaign against illegal drugs. The New People’s Army (NPA) is guided by the standing order of the CPP Central Committee to disarm and arrest the most notorious criminals including the biggest drug traffickers, in order for them to be subjected to prosecution and just punishment. The NPA has been assiduously implementing the orders of the CPP. The most recent outstanding case is that of a chief of police in Davao Oriental province who was arrested by the NPA last May 29 and is currently under detention and undergoing investigation for involvement in the illegal drug trade. The revolutionary forces share in President Duterte’s reprehension of the illegal drug trade and its grave effects on the Filipino people. The proliferation of illegal drugs, especially shabu, and the concommitant rise in incidents of violent crime serves the perpetuation of the ruling system. The biggest and most notorious drug traffickers are those in the top echelons of the AFP and PNP, who are also in cohorts, with key officials in the local and national bureaucracy. It is apparent that President Duterte is fully aware of such. Historically, the colonizers and ruling classes have deliberately encouraged the propagation of drugs as a means of desensitizing the oppressed and exploited masses. Drug abuse numb them of the acute effects of poverty, hunger and state violence. Drug abuse disunites the people and prevents them from effectively carrying out revolutionary struggle. The use of drugs as a weapon to oppress the people is starkly clear in areas where the AFP conducts its counter-insurgency operations. Wherever there is heavy military presence in so called “civil-military operations”, illegal drugs are allowed to proliferate together with other anti-social act. Prior to conducting combat operations, soldiers often take a hit of shabu. Such practice is tolerated if not openly encouraged by field officers believing that drug use give soldiers a false sense of courage in carrying out their mercenary war. In contrast, in territories where the CPP and the people’s democratic government hold sway and exercise political authority, the illegal drug trade has been effectively put to a stop. Through their organizations, their armed self-defense committees and the NPA, the masses oppose the entry and operations of drug traffickers with utmost vigilance and militance. The CPP, through its branches and revolutionary mass organizations, have long been carrying out a campaign against drug use and drug trafficking. It carries out a cultural revolution among the masses in order to encourage them to reject drug use and instead wage collective struggle. It employs armed violence against the biggest traffickers of illegal drugs. While the CPP does not accept his reference to the duly constituted people’s courts as “kangaroo courts”, and reiterating the right to due process of criminal suspects, the CPP and the revolutionary forces accept President Duterte’s offer of anti-drug cooperation. In positive response, the CPP reiterates its standing order for the NPA to carry out operations to disarm and arrest the chieftains of the biggest drug syndicates, as well as other criminal syndicates involved in human rights violations and destruction of the environment. 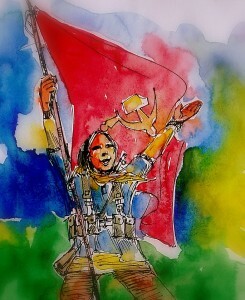 The NPA is ready to give battle to those who will resist arrest with armed violence. In line with peace talks, the revolutionary forces anticipate the possibility of a mutual ceasefire in the coming weeks as a result of negotiations between the National Democratic Front of the Philippines (NDFP) and the Philippine government. Until then, the NPA can continue to carry out select operations in defense of people’s rights and welfare, especially against the biggest criminal syndicates and their nefarious military and police cohorts. 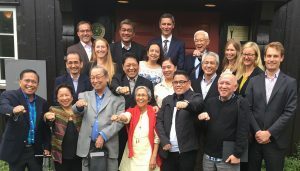 The Communist Party of the Philippines (CPP) congratulates the National Democratic Front of the Philippines (NDFP) Negotiating Panel and representatives of the incoming Duterte regime for attaining positive results in the June 14-15 preliminary talks held in Oslo, Norway. The meeting was facilitated by the Royal Norwegian Government. The CPP fully supports the agreements made during the preliminary talks. The positive atmosphere and outcome was reflected in the joint statement issued on June 15. The CPP is elated that an agreement was reached to pursue peace negotiations starting the third week of July on the basis of previously signed agreements. The CPP welcomes the plan to accelerate negotiations to complete the remaining substantive items of socio-economic reforms, political and constitutional reforms, and ending hostilities and disposition of forces. The CPP also supports the plan to reconstitute the list of personnel who will be protected under the Joint Agreement on Safety and Immunity Guarantees (JASIG) and release all political prisoners through an Amnesty Proclamation to be concurred to by the Philippine congress. The CPP is also pleased that the Duterte panel will recommend to have all NDFP consultants released in order to allow them to participate in peace talks. Their plan to recommend the release of political prisoners on humanitarian grounds is also highly commendable. The attitude of the incoming Duterte regime toward peace negotiations with the NDFP is big departure from that of the Aquino and Arroyo regimes. Under the previous two regimes, peace negotiations were regarded mainly as a psywar operation that was a secondary to and served only the counter-revolutionary war of suppression. Considering how the incoming Duterte regime is vigorously pursuing talks with the NDFP, even before being formally inaugurated into office, the CPP and all revolutionary forces expect peace negotiations with the Duterte regime to move forward with unprecedented speed. If the Duterte regime will continue to pursue this path, the CPP expects peace negotiations to attain historic achievements over the coming period. The CPP and revolutionary forces under the NDFP are looking forward to discuss and forge agreements with the Duterte regime with the aim of serving the nationalist and democratic interests of the people and pursuing their democratic empowerment. The CPP and all revolutionary forces reiterate its full support to the NDFP Negotiating Panel, its head Luis Jalandoni, NDPF Senior Political Consultant Jose Ma. Sison, and NDPF panel members Fidel V. Agcaoili, Julie de Lima Sison, Coni Ledesma and their consultants and assistants. The Communist Party of the Philippines (CPP) commended the New People’s Army (NPA) in Davao Oriental for successfully carrying out a tactical offensive last Sunday morning against the station of of the Philippine National Police (PNP) in Governor town. Initial reports indicate that the NPA unit was able to completely overrun the police station and seize a large caché of firearms. The police station chief was taken in order to be subjected to investigative interviews and discussions. He can be released soon as a prisoner of war if he is not found culpable of criminal cases or war crimes. “The NPA tactical offensive last Sunday is among the exclamation points to mark the end of the Aquino regime and its calamitous yet failed Oplan Bayanihan war of suppression waged by the military and police forces over the past six years,” added the CPP. “The NPA can launch more tactical offensives over the next few weeks to carry out just and punitive actions against the most rabid units of the AFP and PNP which have commited grave crimes of massacres and killings, illegal arrests and torture, militarization, economic blockades and other violations of human rights under the Aquino regime’s Oplnan Bayanihan,” said the CPP. “Hundreds of thousands of people who were forced to leave their homes and communities demand no less,” said the CPP. “Given the Duterte regime’s positive statements and initial efforts at alliance building, the CPP and NPA look forward to bright prospects of peace negotiations under the incoming government,” added the CPP. The CPP has previously expressed openness to proposals to declare a ceasefire during the period of peace negotiations. “The CPP can further consider scaling-down tactical offensives prior to resumption of formal peace negotiations and nationwide ceasefire in response to similar confidence-building measure of the incoming Duterte government including the release of key consultants of the NDFP,” said the CPP. The Communist Party of the Philippines (CPP) welcomes the plan of incoming GRP president Rodrigo Duterte to free political prisoners “as a show of confidence” to boost peace talks with the National Democratic Front of the Philippines (NDFP). In interviews yesterday, Duterte said he can release political prisoners and NDFP consultants as soon as talks have started. He said, all charges against the prisoners will be dropped. “Incoming GRP President Rodrigo Duterte’s plan to release political prisoners will certainly be a cordial act that will surely help invigorate peace negotiations between the GRP and the NDFP,” said the CPP. “While the revolutionary forces are amenable to incoming GRP president Duterte’s plan to effect the release of all prisoners once talks are resumed, he can also take the option of ordering the release of key peace consultants of the NDFP prior to formal resumption of talks, especially those who will be playing a critical role in preparations and actual negotiations,” said the CPP. The armed revolutionary movement of the CPP-NPA rises in Panay to contribute the nationwide people’s war as the US-Aquino regime weakens and ends! The US-Aquino regime, its anointed successor and allies have tried to build Panay as a solid bailiwick of the Liberal Party in the last six years. Aquino has put his henchmen in most of the local positions and other Panayanon in national posts. He took as allies most of the local opposition figures by bribing them with hundreds of millions of pork barrel. To boost its economic and political stock, the ruling reactionary regime pushed through its tourism, BPO, privatization and labor export programs in the island for the profit of big foreign and domestic bureaucrat comprador-landlord investors. Billions of pork-barrel funds were channeled to build superhighways and the overpriced Iloilo Convention Center. It allotted billions of pesos more to start the prolandlord Jalaur Dam but inutile (or useless) due to inadequate water-source and to be erected near an earthquake fault. This dam project will submerge and dispossess a huge part of the ancestral land of the Tumandok (tribe or minority people). The Aquino regime encourages the importation of rice, and other agricultural products, even condoning the smuggling of these products. Admitting to the failure of its food sufficiency program since 2014, it has caused the stagnant and even decrease in the production of rice, fish, sugar, coconut and others in an erstwhile food-exporting Panay and in the whole country due to its espousal of the imperialist trade liberalization policy. OFWs especially in the oil producing countries are now returning home due to lack of jobs or nonpayment of wages, and their remittance earnings have gone down as oil revenues decline. On top of this, Panay has not yet recovered from the devastation wrought by Super typhoon Yolanda that affected half of Panay’s more than 5 million population including the destruction of 500,000 houses and 2/3 of its farmlands. The livelihood and income of most survivors have yet to fully recover, as these are weighed down by heavy loans incurred in rebuilding their lives and for their daily cost of living. The Aquino regime’s criminal neglect was again demonstrated by its delayed distribution of the measly Emergency Shelter Assistance (ESA) .- This could not even cover the indebtedness incurred by these families for the past two years just to have a decent roof above their heads; many other survivors are not assisted at all. The destruction of crops, fisheries and even water supply to bring about by the current El Nino is bound to worsen in the months to come. But many local government candidates are already diverting their calamity funds for electioneering. For its part, all that the regime could dish out is the monthly/quarterly Pantawid Pamilya Program to poor families for counter-insurgency deception. While it has doubled this dole out in Panay, it has imposed so many requirements including the undeclared prohibition on joining anti-government protest actions. Such an abominable situation coupled with the regime’s blatant criminal neglect would generate an explosive social unrest that could only be contained by the reactionary state through outright fascist repression. In the past six years, the Aquino regime has more than doubled the state’s armed force deployed in the region. From three battalions of infantry mobile forces, the regime has added two Philippine National Police (PNP) mobile battalions and several other detached companies of soldiers. During the half-year series of ministerial conferences of the Asia-Pacific Economic Cooperation (APEC), holding of a component of US BALIKATAN and two presidential visits in Panay, several thousands of PNP officers from other regions were deployed here fully militarizing Metro-Iloilo, Boracay and airports, ports and highways leading to these places. Panay has become the priority region for the counterinsurgency operations of the 3rd Infantry Division (3rd ID) of the reactionary Philippine Army. Since the start of the US Aquino regime and its Oplan Bayanihan, the mobile forces of the 301st Brigade (Bde) and its PNP reinforcements launched a sustained campaign, with 2 battalion- and a brigade-led operations every month against the NPA and its mass base in the guerilla fronts. “Keyhole” military operations were carried out that involved two company sized units broken down into sections/platoons of soldiers in every barangay, in the suspected long-time consolidated areas of the NPA. The enemy forces intensified their triad operations (combat, intelligence and civil-military) to engage the NPA, dismantle its mass base and suppress its mass movement, and drive the guerilla forces to passivity. They instilled white terror by actual killings and torture, indiscriminate strafing of people’s homes, sowing bloody intrigue and harassment, arrests and filing of trumped-up cases against suspected rebels and civilians. All the while, the regime would flaunt its ‘human rights’ banner soaked in its victims’ blood. As early as the end of 2014, Panay was declared by the 3rd ID as a “conflict-manageable area” ready for investment and development. The US-Aquino regime committed its first extrajudicial killing on the very first week of its term in office by assassinating Lezo, Aklan Municipal Councilor Fernando Baldomero, who is also Bayan Muna Provincial Chairman. In March 2014, it assassinated Romeo Capalla, the manager of a people’s moscovado-sugar export enterprise, the Panay Fair Trade Center. A national Intelligence Security Group (ISG) team directly utilized elements of its paramilitary group, the RPA-ABB (Nilo DelaCruz wing), to commit these crimes to ensure deniability and cover up for the “Daang Matuwid” regime. Hundreds of mass leaders and members of people’s organizations were harassed or killed to sow White terror and break the people’s resistance to an exploitative and oppressive regime. This terror tactic grew more brutal as the people’s resistance and protest increased especially after the outrage on the regime’s utter neglect in the Yolanda calamity and up to today. The coordinated tactical offensives (TOs) by the New People’s Army (NPA) initially broke the White terror instilled by the state security forces and inspired the people to fight back. Thus the US-Aquino regime reaped the wrath of the massive popular rising and protest actions that have drawn the broadest sympathy from the people and their allies both local and worldwide. The NPA and the revolutionary forces countered the regime’s unrelenting attacks with a sustained coordinated tactical offensive campaign. The NPA launched tactical offensives more than twice its previous rate seizing (several) high powered firearms and incurring casualties to the enemy.] From the previous tactic of mainly luring the enemy to an ambush, the New People’s Army now also reemploys the tactic of tracking and wiping out a portion of the weakest enemy column of highly alerted and Ranger trained in a multi-column enemy operation for days before reinforcements could come to their rescue. This is how it happened in Barangay San Antonio, Cuartero town, Capiz in July 2015 wherein five enemy soldiers were killed and several others wounded, as well as in upper Miag-ao town in Iloilo in October 2013 with nine casualties from an oversize enemy platoon. During the previous year, enemy operations were countered with multiple harassment and actual ambush as a counter offensive tactic or a defensive maneuver. The enemy now expects multiple attacks anytime from our guerilla units. In a twelve hour tactical offensive in early December 2015, the NPA launched three military actions – an ambush against a PNP mobile company team in Tuburan, Maayon town in Capiz from the Northeast to the Southwest foothills of Madiaas Mountains in Tiolas, San Joaquin Town in Iloilo wherein six were killed and six others wounded in the enemy side. Simultaneously, punitive action was carried out by the NPA against the Century Peak Company in Igbaras Town Iloilo, a Chinese-owned mining firm known to be financing the military. The NPA’s widespread employment of explosives anywhere in Panay made the enemy’s forces thinly spread out. Again on December 23, 2015, an RPA-ABB chief operative, Jessie Capilastique, was punished right inside their armed enclave in Lanag, Leon town, similar to the punishment meted out to RPA-ABB National vice Commander Hugo right at his heavily-guarded hideout in Badiangan Town, Iloilo last December 2013. They were punished for being the executioners in the ISG-led abduction and killing of mass leaders Romeo Capalla, Luisa Posa and Nilo Arado among other crimes. All these military operations by the NPA inflicted some 46 casualties (including 20 KIA) in 30 tactical offensives in the year 2015. The level of intensity in the guerilla warfare was dictated by the need to frustrate the redoubled strength and intensity of the enemy attacks in the NPA’s fighting fronts and the urban areas. This was necessary to combat the enemy and defend the revolutionary mass base. It is also aimed particularly to strengthen the struggle of the peasants and Tumandok minority to defend their land. These land are being seized by the reactionary government and military to carry out such onerous projects as the Jalaur Dam, 3rd ID and PNP training camps, US Balikatan military exercises and various other exploitative and oppressive impositions by the reactionary ruling classes. Not only have these tactical offensives by the NPA maintained the consolidated areas occupied by the keyhole tactic of the 301st Bde, but new and wider areas have been added for wider maneuver and basing of the NPA. Guerilla fronts are being developed in a comprehensive and contiguous manner while the enemy forces are tied down and overstretched to their keyhole tactic of concentration, prolonged and exhausting operations and to the defense of their major projects, centers of power and lines of communications. Alongside the armed struggle, sustained and vigorous open mass struggles all over the island frustrated the regime’s all-out attempt to snuff out the revolutionary movement in Panay. Instead, the increased resistance and mass actions by Panayanons reaching up to 10s of thousands in the major cities and capitol towns contributed to the nationwide movement for the ouster of the Aquino regime. Hundreds of thousands have mobilized for the relief and rehabilitation of typhoon survivors and the electoral campaigns. Starting with the anti-pork barrel campaign, the mass movement attained its massive island wide character in protest to the regime’s criminal neglect of the immense calamity brought about by Super typhoon Yolanda. This combined with the anti-fascist mass movement as the regime resorted to harassment of the mass rallies and other protest activities, as well as actual killings. The mass movement grew in strength to include protests against the Asia-Pacific Economic Conference (APEC) ministerial meetings, US-RP Balikatan exercises, privatization of public markets, and low state budget for education that intensified in almost weekly mass actions and conjoined in several coordinated island wide mass campaigns. 1. Sustain the intensity of the armed struggle in Panay to roundly frustrate the US Aquino regime’s Oplan Bayanihan in its last desperate attacks before its abject failure. Continue to counter with greater resolve and strength the new counterinsurgency campaign plan of the next regime abetted by further US military assistance. Develop further the capacity of all guerilla forces of the NPA to maintain the level of armed struggle attained in 2015. Other NPA units which are lagging behind should develop their offensive capacity to the level of the leading ones. All units should develop the capacity not only to annihilate enemy units in combat but also to seize their firearms in increasing number. The regionally coordinated TOs should destroy the enemy focus on their priority areas and missions, tie down the enemy to guarding their centers of power, communication and valued projects, and compel them to spread thinly. The NPA should expand its full-time ranks and build additional units from the increasing local militias, mass organizations of impoverished peasants and Tumandok people, the angry educated and out of school youth and other democratic sectors seeking national and social emancipation. 2. Effectively exercise the functions of the people’s armed political power in the NPA guerilla fronts, as a way to demonstrate that armed revolution is the only alternative to solve the basic problems afflicting the broad masses of the people. It is not the farcical reactionary elections to replace one oppressive and exploitative ruling clique with another, but the people’s revolutionary movement that is the only path for fundamental social change to achieve genuine national independence, democracy, economic development, social justice and enduring peace from the chronic and worsening crisis caused by imperialism, feudalism and bureaucrat capitalism. In Panay and elsewhere in the country, Red political power can be strengthened by expanding and consolidating the people’s mass organizations, carrying out agrarian revolution and other mass campaigns and intensifying the NPA’s tactical offensives at present and in the years to come. By doing so, the people’s revolutionary forces can frustrate the unjust and oppressive policies and impositions of the reactionary ruling regime and continue to gain and enjoy the abundant support of the broad masses of the oppressed and exploited people. In Panay, perseverance in armed struggle not only encompass the taking up of arms and developing the tactical offensive campaign. It includes consolidating the organized forces of the people in the fighting fronts into higher levels of organization, expanding the organized forces of the peasantry and other sectors, developing the governmental functions at the local level in place of a reactionary government more represented by its anti-people armed forces and anti-people projects imposed. The strengthening of the people’s Red political power should manifest itself in more popular support for the people’s war and rising against the imposition of the old and the new regime. Red political power should develop further the rehabilitation of the fronts from the devastation by calamities and the hunger now stalking the countryside. 3. Continue to take the lead in solving the current problem brought about by the calamities particularly El Nino and the unresolved damage of Typhoon Yolanda especially the scarcity of food and other material needs. Lay the groundwork for the further push for anti-usury, lowering of interest rates and increase in prices for farm products. Even as widespread hunger and general want stalk the land in food-producer Panay, even more should the revolutionary movement take the lead in organizing the effort towards the production of food and the general rehabilitation of the areas where we have political power and influence. Continue to lead in organizing and assisting the people overcome the disasters brought about by the current El Nino calamity and the remaining damages from super typhoon Yolanda, especially the scarcity of food and other material needs. Advance the minimum program for revolutionary land reform in reducing and eliminating usury and increasing the farm gate prices of the peasants’ produce, to alleviate the widespread hunger and want in a supposed food-producing island. The armed revolutionary movement should engage in food production and rehabilitation work in the areas where it exercises political power and influence. Mass struggles to demand food subsidies from the reactionary government should be carried out, even as we continue to expose and oppose its criminal neglect and ineptness. The state’s budget priorities for infrastructure, unproductive military spending and debt servicing and wasteful electoral spending should be counter posed against the minimal outlay for much-need calamity alleviation and other social services. The revolutionary forces must initiate struggles against usury, lowering of interest rates especially in times of calamities, and wage campaigns to increase the prices of farm products. The US-Aquino regime is about to end as it would manipulate and ensure the election of its chosen successor in the coming fraudulent reactionary election. This would allow the outgoing regime to benefit from its ill-gotten wealth and avoid prosecution of its gross corruption, grave human rights violations and other serious crimes against the Filipino people and nation. Let the further growth and advance of the people’s revolutionary struggles in Panay and throughout the country force out the Aquino regime and confront the succeeding regime with a bigger and formidable revolutionary challenge. https://www.ndfp.org/sayt/wp-content/uploads/2016/02/mdaniel-flagdancer.jpg 960 785 NDFP WebMedia https://www.ndfp.org/sayt/wp-content/uploads/2018/11/ndfplogoonly-2-300x300.png NDFP WebMedia2016-05-25 00:35:002016-06-13 00:38:31The armed revolutionary movement of the CPP-NPA rises in Panay to contribute the nationwide people's war as the US-Aquino regime weakens and ends! The Communist Party of the Philippines (CPP) today denounced the Aquino regime for war mongering and inviting US military intervention in disputes between the Philippines and China over the Scarborough Shoal. Speaking before foreign reporters yesterday, Aquino sought US military action as a response to a possible scenario of China building a military outpost at the area claiming such will maintain US ascendancy and confidence of “one of its allies”. “Aquino’s combative statements made just a few weeks before leaving office is a foolhardy attempt to preempt the incoming Duterte government from approaching the South China Sea disputes with more diplomatic circumspect,” said the CPP. “Aquino’s statements were obviously made under the advice of the US which has started to become concerned over the possibility of more amicable negotiations between the incoming Duterte regime and the Chinese government concerning disputes over the Scarborough Shoal and other parts of the South China Sea,” added the CPP. The Scarborough Shoal is an area of rocks and corals which has served as a rich fishing area less than 200 kilometers west of Subic Bay. It is currently effectively controlled by China since 2012 after a standoff with the Philippines. Backchannelling talks to arrange for the withdrawal of Chinese sea vessels from the reefs were torpedoed by the Aquino regime upon the goading of the US. China’s amenability to withdraw the last three of its Chinese Marine Surveillance (CMS) ships from 90 vessels at the start of the standoff was undermined when Aquino brought the matter before the US-influenced ASEAN ending then quiet but fruitful backchanneling. “Aquino’s six years of US-instigated jingoism in combination with US military muscle-flexing has only escalated tension and heightened militarization in the South China Sea,” said the CPP. “The CPP advises the incoming Duterte government to assert Philippine sovereignty over the country’s territorial seas principally by calling for the demilitarization of the area, by generating international pressure to urge both the US and China to withdraw their militaries from the area,” said the CPP. “To assert Philippine sovereignty, the Duterte government can urge China to reduce its military presence in the South China Sea by working for the reciprocal withdrawal or planned reduction of US troops, US naval ships, jetfighters, surveillance planes and drones, long-range artillery and other war materiél from Philippine soil and seas,” said the CPP. “US military presence in the Philippines and in the South China Sea has aggravated China and instigated it to become more aggressive in defending its national sovereignty to the point of escalating and militarizing disputes with the Philippines,” said the CPP. “Withdrawal of US and China military forces in the South China Sea will pave the way for developing economic relations with China in parallel with that of the US and other countries,” added the CPP. The Communist Party of the Philippines (CPP) acknowledges the public offer made yesterday by incoming GRP president Rodrigo Duterte for the CPP to head at least four GRP agencies. The CPP said it looks forward to forging an alliance for national unity, peace and development with the Duterte government based on clearly stipulated principles and policies of national sovereignty and social justice. 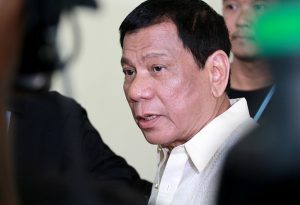 In meeting the press yesterday, Duterte said the CPP can be given four cabinet posts to head the Department of Agrarian Reform, the Department of Environment and Natural Resources, the Department of Social Work and Development and the Department of Labor and Employment. “We view the offer of key cabinet positions made by presumptive president Duterte as an acknowledgement of the strength and political standing of the CPP and revolutionary forces, its effective representation of the interests of workers, peasants, minorities and the broad masses as well as its work in protecting the environment,” said the CPP. “The CPP and the revolutionary forces welcome the possibility of joining presumptive president Duterte in an alliance government, whether in the form of assigning cabinet positions to the CPP or its endorsees or some other more radical form of unity government which the maverick new president might be open to consider,” said the CPP. “While the CPP is not averse to being assigned cabinet positions under certain conditions, incoming president Duterte knows fully well that what is more important to the revolutionary forces are the necessary changes in the policies and programs that govern these departments and the entire government,” it elaborated. “A u-turn in the neoliberal policies of the past three decades, to say the least, must be carried out,” said the CPP. The Communist Party of the Philippines (CPP) and all revolutionary forces take stock of the significance of the rise of Davao Mayor Rodrigo Duterte as chief political representative of the ruling classes and head of the reactionary client-state and its consequences in advancing the national democratic revolution through people’s war. Inilulugar ng Partido Komunista ng Pilipinas (PKP) at lahat ng rebolusyonaryong pwersa ang kabuluhan ng paglitaw ni Davao Mayor Rodrigo Duterte bilang pangunahing pulitikal na kinatawan ng naghaharing uri at pinuno ng reaksyunaryong kliyenteng estado at ang mga idudulot nito sa pagsusulong ng pambansa-demokratikong rebolusyon sa pamamagitan ng digmang bayan. Ang pagkakahalal kay Davao City Mayor Rodrigo Duterte bilang susunod na presidente ng Gubyerno ng Republika ng Pilipinas (GRP) ay malinaw na pagwaksi sa ipinamamarali ni Aquino na “mabuting pamahalaan,” “inclusive growth” at “tuwid na daan.” Dinaig niya si Mar Roxas, ang kandidato ng naghaharing rehimen na may napakalaking pondo at pampulitikang suporta. Sa pamamagitan ng paghamig ng malawak na suporta, pagpapakilos ng malalaking bilang ng mga tao, pagtatambol sa social media at hi-tech na mga kontra-aksyon, napigilan ni Duterte ang mga plano ng rehimeng US-Aquino na gamitin ang de-kompyuter na sistema ng pagbibilang upang nakawin sa kanya ang pagkakahalal. Gayunpaman, malakas ang mga indikasyon na ang mga resulta ng halalan ay minanipula para palakihin ang boto ni Roxas, paburan ang mga kandidato ni Aquino sa bise-presidente at senador, gayundin upang pigilan ang mga progresibong partylist na makakuha ng dagdag na mga pwesto sa parlamento. Kabilang ang mga asasinasyong kaugnay ng eleksyon, bentahan ng boto, paggamit ng pondo ng mamamayan, paglipat-lipat ng partido, de-kompyuter na dayaan, at iba pa, ang katatapos na reaksyunaryong halalan ay kasing dumi at bulok ng dati, salungat sa paggigiit na ito ay demokratiko, malinis at kapani-paniwala. Ang pag-akyat ni Duterte bilang presidente ay sumasalamin sa papalalim at papalalang krisis ng malakolonyal at malapyudal na sistema. Nahatak niya ang malawak na suporta ng mamamayan dahil ipinakilala niya ang sarili bilang karamay sa kanilang diskuntento at malalim na pagnanais na tapusin na ang mapang-api at bulok na naghaharing sistema. Ang pagkakahalal kay Duterte ay sumasalamin din ng lumalalim na paksyunal na tunggalian sa hanay ng naghaharing uri. Hinati niya ang mga pulitikong elite sa kanyang buladas na puno ng pagmumura. Sa pagpapaandar ng kanyang kampanya sa eleksyon, inasahan niyang magpopondo sa kanyang kampanya ang mga kontribusyon ng malalaking negosyante at grupong pulitikal, mga kingmaker, relihiyosong sekta, pangkating militar at iba pang mga interesadong grupo, kapalit ng pang-ekonomya at pampulitikang pabor pagdating ng panahon. Gumastos siya ng bilyon sa kanyang kampanya sa midya at sa patalastas, gayundin sa kanyang kampanya sa social media. Itinataguyod ni Duterte at ng kanyang mga alyado ang pederalismo na pumupuna sa kakulangan ng pambansang atensyon at rekurso, mabagal na pagbibigay ng mga serbisyong panlipunan at kakulangan sa pagpapaunlad sa mga lokal na ekonomya. Ang gayong panukala ay salamin ng kahilingan ng mga naghaharing uri na lalupang paghati-hatian ang mga rekurso ng bayan sa pagitan nila. May ilang seksyon ng mga pulitikong elite ang sumusuporta kay Duterte sa pag-asang maitulak ang kanyang krusada laban sa krimen upang mabigyang katwiran ang pagtatayo ng isang estadong-pulis. Ninanais nila ang pagpataw ng mas mahihigpit na hakbang sa pagsupil sa demokratikong mga karapatan ng mga manggagawa at karapatang tao ng mamamayan upang maging lalong mabisa ang kanilang pagsasamantala at pandarambong sa yamang-tao at likas na yaman ng bayan. Sa pag-upo ni Duterte bilang presidente ng GRP, sa unang pagkakataon, ang kliyenteng-estadong Pilipinas ay pamumunuan ng isang hindi lubos na tali sa mga imperyalistang US. Dating kinagalitan ni Duterte ang US at ang US CIA sa pagpupuslit sa kanilang ahenteng si Michael Meiring na aksidenteng nakapasabog ng inihahanda niyang bomba sa loob ng isang hotel sa Davao sa kasagsagan ng mga teroristang pambobomba ng US sa Mindanao noong 2002. Tinutulan niya ang paggamit sa paliparan ng Davao bilang base ng mga operasyong drone ng US at pinuna niya ang EDCA. Tinuligsa ni Duterte ang kasalukuyang mga ambassador ng US at Australia sa pulitikal na pakikialam matapos magkomentaryo sa kanyang masagwang biro tungkol sa panggagahasa. Sa kabilang banda, marami sa mga pulitikong elite ay maka-US at pabor sa paghahari at presensyang militar ng US. Ang CIA at militar ng US at lokal na mga ahente nito ay nangingibabaw sa maraming aspeto ng naghaharing estado, laluna sa AFP. 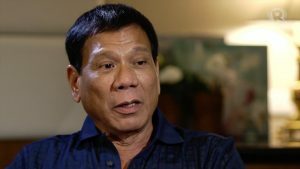 Pinalilibutan mismo ni Duterte ang kanyang sarili ng mga opisyal na maka-US at maka-IMF/WB. Patuloy ring nangingibabaw ang US sa kongreso ng Pilipinas, sa Korte Suprema, sa mga patakarang pang-ekonomya ng GRP at mga ahensya sa pinansya, midya at mga organisasyong pangkultura. Kung tototohanin at masiglang itutuloy ni Duterte ang kanyang pangakong pawiin ang kriminalidad, laluna ang malawakang kalakalan sa droga sa loob ng tatlo hanggang anim na buwan, malamang na lilikha ito ng malalim na bitak sa hanay ng mga heneral ng militar at pulisya at mga burukrata kapitalistang protektor, opereytor at kabakas ng mga sindikatong kriminal. Inihayag na niya ang kanyang layuning magdeklara ng tigil-putukan bilang isa sa mga unang hakbang bilang presidente upang isulong ang usapang pangkapayapaan sa NDFP, gayundin sa iba’t ibang mga grupong kumakatawan sa mamamayang Moro. Nirespeto niya at pinangalandakan pa nga ang kanyang pakikipagkaibigan sa rebolusyonaryong mga pwersa sa laking dismaya ng mga militaristang ang gusto lamang ay supilin ang paglaban ng mamamayan. Itinanghal ni Duterte na siya’y naiiba, isang pulitikong kontra-establisimento at isang “sosyalista” at nagpapahayag na siya ang magiging unang “Kaliwang presidente” ng bayan. Ang pagsabi ni Duterte na siya’y sosyalista, ang kanyang anti-US na mga pagbatikos, kahandaang magpaunlad ng relasyon sa China at kasigasigan para sa usapang pangkayapaan sa mga pwersang rebolusyonaryo ay hindi magiging katanggap-tanggap sa mga masugid na tagapagtanggol sa dogma ng interbensyong militar ng US, hegemonismo at kontra-insurhensya. Matapos ang 15 taong pagkabalam ng negosasyong pangkapayapaan ng NDFP at GRP, marubdob na inaasam ng mamamayang Pilipino ang pag-usad ng mga pagsisikap na matamo ang isang napagkasunduang pampulitikang resolusyon sa matagalang digmaang sibil. Ang ilang progresibong aspeto sa pagsasalita ni Duterte, ang kanyang pagkilala kapwa sa pagiging lehitimong pwersang pampulitika at sa armadong pampulitikang kapangyarihan ng rebolusyonaryong kilusan at ang kasaysayan ng kanyang pakikipagtulungan sa mga rebolusyonaryong pwersa sa Mindanao, ay maaaring magpabilis sa negosasyong pangkapayapaan. Ikinalulugod ng PKP at ng mga rebolusyonaryong pwersa ang plano ni Duterte na seryosong ipagpatuloy ang negosasyong pangkapayapaan sa pagitan ng NDFP at GRP gayundin ang kanyang plano na bumisita sa The Netherlands upang personal na makipagpulong sa senior political consultant ng NDFP na si Prof. Jose Ma. Sison at ang NDFP peace panel sa Utrecht. Buo ang suporta ng PKP sa panukala ng NDFP na inihapag ni Prof. Jose Ma. Sison, na ipagpatuloy ang negosasyong pangkapayapaang NDFP-GRP sa ilalim ng gubyernong Duterte sa layuning makapagbuo ng kasunduang magtatatag ng isang gubyerno ng pambansang pagkakaisa, kapayapaan at kaunlaran. Makakapagbuo sina Duterte at Prof. Sison ng plano para sa pinabilis na negosasyong pangkapayapaan na naglalayong makapagbalangkas, sa loob ng ilang buwan, ng mga kumprehensibong kasunduang tutugon sa mga pundamental na usapin. Bukas ang PKP at BHB na ikunsidera ang mga panukala para sa sabayang tigil-putukan sa takdang panahon ng negosasyong pangkapayapaan. Inaasahan ng mga rebolusyonaryong pwersa na kikilalanin at itataguyod ni Duterte ang lahat ng umiiral na kasunduang pinirmahan ng NDFP at GRP sa nakalipas na 20 taon, kabilang ang The Hague Joint Declaration ng 1992 na siyang nagsilbing balangkas at batayan ng mga negosasyon; ang Joint Agreement on Safety and Immunity Guarantees (JASIG); ang Comprehensive Agreement on Respect for Human Rights and International Humanitarian Law (CARHRIHL) ng 1998; at iba pa.
Dapat lamang maging kabilang sa mga unang hakbang na ipatutupad ng rehimeng Duterte upang itaguyod ang negosasyong pangkapayapaan ang pagpapalaya ng lahat ng nakadetineng konsultant ng NDFP at pagtiyak na makabibiyahe sila patungo sa nyutral na teritoryo kung saan idaraos ang mga negosasyon. Sila ay pataksil na inaresto, labag sa naunang mga kasunduan at pinagdusa ng di-makatarungang pagkakabilanggo nang mahabang panahon. Ang mga pahayag ni Duterte ay nagpataas sa mga inaasahan ng mamamayan para sa makabuluhan at mabibilis na reporma. Bilang isang deklaradong katunggali ng pakikialam ng US, may natatanging pagkakataon si Duterte na wakasan ang 70-taong kadena ng mga papet na gubyerno ng US mula pa sa rehimeng Roxas noong 1946. Magagawa niyang baligtarin ang ipinamana ni Aquino na pambansang kahihiyan ng pagiging tau-tauhan sa estratehiyang “pihit sa Asia” ng US nang pahintulutan ang US na ipanumbalik ang mga baseng militar nito at magmantine ng permanenteng presensya ng mga barkong pandigma, jetfighter, drone at tropang interbensyunista. Upang makontra ang pagkapapet ni Aquino, dapat niyang bawiin ang kanyang paninindigang manatili ang Enhanced Defense Cooperation Agreement (EDCA). Dapat niyang agad na abisuhan ang gubyernong US sa kanyang balak na ipawalambisa ang EDCA na pinirmahan bilang isang ehekutibong kasunduan noong Abril 2014. Dapat niyang kanselahin ang pagpahintulot ng EDCA na gamitin ang limang kampo ng AFP bilang mga base at pasilidad militar ng US. Maaari niyang paabutan ang US ng balak na tapusin ang di-pantay na Visiting Forces Agreement (VFA), ang Mutual Logistics Support Agreement (MLSA) at ang Status of Forces Agreement (SOFA) gayundin ang Mutual Defense Treaty ng 1951, ang punong kasunduan at ugat ng lahat ng di pagkakapantay-pantay pangmilitar. Maaari niyang agad na pauwiin si US Ambassador Goldberg dahil sa pakikialam sa mga usaping panloob ng Pilipinas. Si Duterte ay maaaring maging kauna-unahang presidente ng Pilipinas na magpapatupad ng nagsasariling patakarang panlabas, yaong hindi nakatali at nakaasa sa US. Tungo rito, dapat kundenahin ni Duterte ang pang-uupat ng digma ng US at paggirian ng US at China at labanan ang militarisasyon ng mga pwersang militar ng US at China sa teritoryal na karagatan. Dapat niyang pagbawalan ang militar ng US na gamitin ang Pilipinas bilang base ng kanyang interbensyunismo. Kapag ginawa niya ito, siya ang magiging kauna-unahang “world-class” na presidente ng Pilipinas na nanindigan para sa soberanya ng Pilipinas at pumigil sa pagpapaigting-militar sa rehiyon. Dapat niyang tutulan ang itinutulak ng US na pagbabago sa konstitusyon upang tanggalin ang natitirang mga pagbabawal sa dayuhang pagmamay-ari bilang rekisito para makapasok ang Pilipinas sa Trans-Pacific Partnership, na tinaguriang “pinakamaruming kasunduan”. Kaakibat nito, maaari siyang magpatupad ng patakaran sa pagpapaunlad ng pang-ekonomya at pangkalakalang ugnayan na mutwal na kapaki-pakinabang sa Pilipinas at sa China, sa layuning wakasan ang pang-ekonomya at pangkalakalang pagsandig sa US. Maaari siyang magpatupad ng patakaran ng bilateral na pakikipag-usap sa China upang mapayapang resolbahin ang tunggalian sa South China Sea at salungatin ang presensyang militar ng US sa erya. Maaari niyang samantalahin ang mga pondong may mababang interes mula sa Asian International Infrastructure Bank (AIIB) ng China upang suportahan ang pagpapaunlad ng lokal na industriya at manupaktura. Maaaring itulak ni Duterte ang pagbubuo ng mga kasunduan sa mga bansang pinagkukunan ng langis katulad ng Venezuela, Russia o Iran para sa sentralisadong pagbili ng estado ng murang langis na dati’y hindi magawa dahil sa ugnayang panlabas ng Pilipinas na nakatali sa US. Bilang marubdob na tagasuporta ng kontra-krimen at kontra-korupsyon, ang hamon kay Duterte ay ang pag-una sa pinakamalalaking kriminal. Ang maliliit na isdang kriminal ay maglalaho kung wala ang kanilang malalaking isdang protektor at mga pating na nasa pinakamataas na burukrasya at organisasyon ng militar at pulisya. Maaari niyang agad na ipatupad ang pag-aresto at mabilis na paglilitis kay Benigno Aquino III, Florencio Abad at sa pinakamalalaking kriminal na responsable sa paglustay ng trilyon-pisong panggagantsong DAP at pigilan silang lumabas ng bansa. Dapat niyang tapusin ang paglilitis kay Gloria Macapagal-Arroyo at tiyaking mapapanagot siya sa kriminal na responsibilidad sa maanomalyang kasunduang broadband sa ZTE at iba pang kaso ng korupsyon, kabilang na ang pandaraya sa eleksyong 2004. Patuloy na nagpapalawak ng kanilang mga operasyon ang pinakamalalaking drug lord at kriminal na sindikato sa ilalim ng proteksyon ng pinakamatataas na heneral ng AFP at PNP. Sa paglutas ng malaganap na kalakalan ng droga, kakailanganing isugal ni Duterte ang pagpapailalim sa pinakamataas na pamunuan ng militar at pulisya sa isang mayor na pagrekisa upang ihiwalay, kasuhan, at parusahan ang mga kriminal. Ang maliliit na nagtutulak at gumagamit ng droga ay dapat tulungang magbago sa pamamagitan ng pag-eempleyo sa kanila at pagtatatag ng mga sentro para sa medikal at sikolohikal na rehabilitasyon mula sa pag-abuso sa droga. Wastong idineklara ni Duterte ang kanyang planong unahin ang agrikultura, edukasyon at kalusugan. Dapat niyang agad na lutasin ang kagyat na mga pangangailangan ng masang anakpawis na manggagawa at magbubukid. Upang mapaunlad ang agrikultura, hinahamon si Duterte na tugunan ang hinaing para sa tunay na reporma sa lupa na kapwa kagyat na hakbanging pang-ekonomya at para sa katarungang panlipunan. Ang tunay na reporma sa lupa ay ang libreng pamamahagi ng lupa sa mga magsasakang nagbubungkal ng lupa. Ang pekeng reporma sa lupa ng nagdaang 30 taon ay napakabigat na pasanin sa bentahan ng lupa kung saan pinagbayad ang mga magbubukid na dati na nilang nakamit sa matagal na panahon ng pyudal na paghuhuthot. Dapat kanselahin ni Duterte ang lahat ng di-nabayarang amortisasyon at akuin ang mga utang kung saan ginawang kolateral sa prenda ang mga titulo ng lupa. Maaari siyang makipagtulungan sa mga organisasyon ng masang magbubukid upang magpatupad ng tunay na distribusyon ng lupa sa Hacienda Luisita, gayundin sa Hacienda Dolores at maraming iba pang pyudal na pag-aaring lupain. Maaari niyang agad na ipahinto ang malawakang pagpapalit-gamit ng mga lupang sakahan at pribatisasyon ng pampublikong mga lupain na nagresulta sa malawakang pagpapalayas sa mga magbubukid at pambansang minorya mula sa kanilang mga lupain. Bilang isang patakarang pang-ekonomya, mapakakawalan ng tunay na reporma sa lupa ang produktibong potensyal ng masang magbubukid bilang mga nagmamay-ari ng lupa at mapalalawak ang pamilihan para sa mga manupaktura. Ang isang kaugnay na patakaran para sa pambansang industriyalisasyon ay dapat ituon sa mekanisasyon ng agrikultura upang ibunsod ang paglikha at pagproseso ng pagkain upang tiyakin ang sapat na suplay ng mababang presyong bigas, poltri, karne, at gulay. Dapat na palawakin ang mga pasilidad sa irigasyon at laanan ng pondo para sa libreng paggamit ng mga magsasaka. Idineklara ni Duterte na hindi siya ekonomista at sinabing makikinig siya sa mga eksperto. Sa kasamaang-palad, ang mga sinasabing ekspertong kanyang itatalaga ay mga teknokrata at malalaking negosyanteng nangunguna sa mga neoliberal na patakarang pang-ekonomya at nagsisilbi sa malalaking dayuhang kapitalista, at hindi sa pagtutulak ng lokal na pang-ekonomyang pag-unlad at produksyon. Itinataguyod nila ang ekonomya ng “pag-akit sa dayuhang pamumuhunan” at “pagbawas ng mga restriksyon” na siyang hinahangad ng US at malalaking dayuhang kapitalista. Sa pagbalangkas ng mga patakarang pang-ekonomya, dapat munang pakinggan ni Duterte ang mga manggagawa’t magsasaka, sa halip na malalaking negosyo at teknokrata na nagtataguyod ng iisang patakarang pang-ekonomyang mahigit kalahating siglo nang bigo. Mapagpasya ito. Ang kabiguang gawin ito ay magpapatunay na sa huli, ang kanyang rehimen ay bahagi lamang ng isang tuluy-tuloy na kaayusang neoliberal. Para abutin ang mabilis na nagsasariling pang-ekonomyang modernisasyon ng Pilipinas na may balansyado at kaakibat na pagpapaunlad ng mabibigat, katamtaman at magagaan na industriya, dapat na iwaksi ni Duterte ang mga neoliberal na liberalisasyon, pribatisasyon, deregulasyon at denasyunalisasyon na tinahak ng mga nagdaang rehimen. Ang pagsusulong ng reporma sa lupa at pambansang industriyalisasyon ay lilikha ng empleyo at magwawakas sa pangangailangang magkaroon pa ng mga programang pantapal tulad ng conditional cash transfer (4Ps) na nagpapalawig lamang sa pagdarahop ng mamamayan at tumatabing sa pagkabulok ng pampublikong serbisyong panlipunan. Dapat pagtuunan ng pansin ng rehimeng Duterte ang kahingian ng mga manggagawa at empleyado para sa pambansang minimum na sahod at pagbasura sa wage regionalization. Dapat niyang wakasan ang kontraktwalisasyon at bawiin ang kanyang naunang mga pahayag laban sa mga karapatan ng mga unyon at manggagawa. Kung wala ang kanilang mga unyon, walang pananggol ang mga manggagawa laban sa mga atake sa kanilang mga sahod. Sa larangan ng edukasyon, hinahamon si Duterte na ibasura ang K-12 program na ginagawang panlahatan ang edukasyong teknikal at vocational upang lumikha ng murang kontraktwal na lakas-paggawa para sa eksport at para sa nakatuon-sa-eksport na mala-manupaktura. Dapat niyang baligtarin ang patakaran ng pagtalikod ng estado sa edukasyon at itaguyod ang patakarang pang-estado na magbigay ng libreng edukasyon para sa lahat. Maaari niyang isanib ang edukasyon sa nagsasariling pang-ekonomyang modernisasyon sa pamamagitan ng pagtulak sa pananaliksik at pagpapaunlad sa mga larangan ng produksyong agrikultural, paglikha ng enerhiya, pagmanupaktura, teknolohiyang pangkompyuter, mga bagong materyales at iba pa. Upang makapag-iwan ng pangmatagalang pamana ng patriyotismo, dapat niyang ituon ang edukasyon tungo sa isang makabayang pagpapanibago ng kultura sa pamamagitan ng muling pagsusulat ng kasaysayan sa punto de bista ng mamamayang Pilipino sa halip ng kanilang mga kolonyal na mananakop. Sa larangan ng pampublikong kalusugan, hinahamon si Duterte na ipawalambisa ang patakaran ng pribatisasyon ng mga pampublikong ospital at itaguyod ang patakarang pang-estado na pagbibigay ng libreng pampublikong kalusugan para sa lahat. Maaari niyang tuldukan ang Philhealth na isang palabigasang sistema ng pribadong segurong pangkalusugan. Sa halip, dapat niyang tiyakin na lahat ay nabibigyan ng libreng pangkalusugang atensyon. Dapat niyang ibigay ang mga batayang serbisyong panlipunan na hinihingi ng mamamayan at baguhin ang pambansang badyet upang maglaan ng sapat na mga pondo para sa edukasyon, kalusugan, pabahay at iba pang mga serbisyo. Dagdag pa, dapat kanselahin ni Duterte ang mga napaka-kwestyunableng kontrata sa PPP ni Aquino, kabilang na ang MRT Cavite extension, na nagbigay sa mga Ayala, Cojuangco, Cosunji, Pangilinan at iba pang malalaking burgesya kumprador ng di-makatarungang bentahe sa paggamit ng mga pampublikong pondo at mga pautang na ginarantiyahan ng estado at tubong tiniyak ng gubyerno. Sa larangan ng karapatang-tao, dapat palayain ni Duterte ang halos 600 bilanggong pulitikal, na karamiha’y mga magsasaka at manggagawa, na patuloy na naghihirap sa pagkakakulong at nahaharap sa mga gawa-gawang kaso. Maipapatupad ni Duterte ang kanilang paglaya bilang pagpapataas sa pagsisikap ng kanyang gubyerno na itaguyod ang karapatang-tao at bilang pagtalikod sa pag-endorso sa ala-vigilante na pamamaslang. Dapat niyang hawanin ang daan sa pagbabalik ng mga bakwit na Lumad sa pamamagitan ng pag-utos na paalisin ang mga nag-ooperasyong tropa ng AFP mula sa kanilang mga paaralan, komunidad at lupain at pahintulutan ang mamamayan na muling buksan ang mga paaralang pinatatakbo ng kanilang mga komunidad. Dapat niyang tugunan ang kahingian ng mamamayang Lumad para sa katarungan at kilalanin ang kanilang komprehensibong mga karapatan bilang pambansang minorya, gayundin ang iba pang grupong minorya. Dapat siyang magsagawa ng mga hakbangin upang parusahan ang lahat ng tagalabag ng karapatang tao sa nagdaang 30 taon. Dapat niyang ipatigil ang ekstrahudisyal na pagpaslang. Dapat niyang tugunan ang kahingiang wakasan ang sulsol-ng-US na “kontrainsurhensyang” mga operasyong Oplan Bayanihan at ang militarisasyon ng kanayunan. Habang hinaharap ang rehimeng Duterte sa usapang pangkapayapaan at posibleng pakikipag-alyansa para isulong ang pambansa at demokratikong hangarin ng sambayanang Pilipino, walang humpay na isusulong ng mga rebolusyonaryong pwersa ang armadong paglaban ng bayan at mga demokratikong pakikibakang masa. Habang bukas sa pakikipagtulungan at alyansa, dapat walang-hupa ang kanilang pagpuna at paglaban sa lahat ng anti-mamamayan at maka-imperyalistang patakaran at hakbangin. Hindi magkakaroon ng “honeymoon” sa rehimeng Duterte. Habang nagpakita ng ilang aspetong progresibo ang papasok na presidente ng GRP, mulat din ang mga rebolusyonaryong pwersa na sa pangunahin, siya ay kabilang sa mga pulitikong elite ng naghaharing uri. Sa nagdaang apat na dekada, pinagsilbihan niya ang sistema bilang burukrata at ipinatupad ang mga batas at patakaran nito. Nakipag-ugnayan siya sa mga dayuhan at lokal na malalaking kapitalista, mga nagmamay-ari ng mga plantasyon at malalaking panginoong maylupa na umaasang makikinabang sa ilalim ng kanyang rehimen. Ang masang manggagawa, magsasaka at manggagawang bukid sa Davao City ay matagal nang nagdurusa sa mapang-api at mapagsamantalang kundisyon sa malalaking plantasyon at negosyong contract-growing na pang-eksport. Sa inilahad na mga patakaran ni Duterte, wala pa siyang malinaw na paghiwalay sa naghaharing kaisipang neoliberal sa ekonomya na nagdulot ng malalang kahirapan sa mamamayang Pilipino sa nagdaang mahigit tatlong dekada. Sadyang nakita na sa kasaysayan ng mundo ang paglitaw, sa ilalim ng ilang kundisyon, ng anti-US na mga lider sa mga bansang pinaghaharian ng US. Sa nagdaang ilang taon, sina Hugo Chavez ng Venezuela (1999-2013) at Evo Morales ng Bolivia (2006-kasalukuyan) ay militanteng nanindigan para ipagtanggol ang karapatan ng kanilang bansa sa pagpapasya-sa-sarili. Sa pagtataguyod ng anti-imperyalismo, nagawa ng kanilang mga gubyerno na palayain ang malaking rekurso tulad ng lupa at langis mula sa dayong kontrol at ilaan ito sa mamamayan sa anyo ng papalaking subsidyo ng estado para sa edukasyon at pampublikong kalusugan. Sa kabilang panig, habang malinaw na nakinabang sa anti-imperyalismo at papalaking rekurso para sa pagbibigay ng serbisyong panlipunan at pang-ekonomya, patuloy na nagdusa ang malawak na masang manggagawa at magsasaka sa pang-aapi at pagsasamantala dahil nanatiling dominante ang dayong malalaking kapitalista at mga panginoong maylupa sa ibang larangan ng ekonomya at kapangyarihang pang-estado . Ang lumalalang kalagayan ng malakolonyal at mala-pyudal na lipunan, ang lumalalim na tunggaliang paksyunal sa naghaharing uri, ang nagtatagal na resesyon ng US at pagbangon ng China bilang katunggaling imperyalistang kapangyarihan ay kabilang sa mga umiiral na kundisyon kung saan naganap ang pag-usbong ng naiibang pulitikong si Rodrigo Duterte bilang presidente ng GRP. Taimtim na tinatanaw ng mamamayang Pilipino at kanilang mga rebolusyonaryong pwersa ang posibilidad na mabuo ang alyansa sa rehimeng Duterte sa balangkas ng pambansang pagkakaisa, kapayapaan at kaunlaran. Dito masusubukan si Duterte. Tototohanin ba niya ang kanyang salita at susunggaban ang oportunidad na manindigan laban sa imperyalismong US? O lalabas ba na puro lamang siyang hangin? Dapat dinggin ni Duterte ang lumalakas na sigaw ng mamamayan para sa lupa, hanapbuhay, dagdag-sahod, libreng edukasyon, pagtatanggol sa soberanya ng Pilipinas laban sa panghihimasok ng US, pagtatanggol sa pambansang patrimonya at pag-unlad at modernisasyon ng ekonomya, at pagwawakas sa korupsyon at kriminalidad sa burukrasya, militar at pulis. Kung mabigo o tumanggi siyang makinig, magiging isa lamang siyang anomalya ng kasaysayan at matutulad sa kinauwian ng rehimeng Estrada. Handang-handa ang mamamayang Pilipino na paigtingin ang digmang bayan at isulong ang rebolusyon at mga pakikibakang masa para paalingawngawin ang kanilang mga demokratikong kahilingan. Dapat patuloy na ipatupad ng Bagong Hukbong Bayan ang mga tungkuling itinakda ng Komite Sentral ng PKP na paigtingin ang digmang bayan sa pamamagitan ng paglulunsad ng mas maraming taktikal na opensiba at pagsamsam ng mas maraming sandata mula sa kaaway. Tangan ang estratehiko at makasaysayang punto-de-bista, batid ng proletaryong Pilipino na sa pamamagitan lamang ng demokratikong rebolusyong bayan na mapagpasya at puspusang mawawakasan ang paghahari ng mga imperyalista, malalaking burgesyang komprador at panginoong maylupa sa pamamagitan ng pagbabagsak sa kanilang armadong estado. Sa pagpapaigting ng kanilang mga pakikibaka, tiyak na makakamit ng mamamayang Pilipino ang higit na malalaking tagumpay sa mga darating na taon. Nakatakdang sumulong ang digmang bayan sa ilalim ng rehimeng Duterte. The Communist Party of the Philippines (CPP) reiterated today that it does not participate in the elections of the Government of the Republic of the Philippine (GRP) nor does it endorse or support any of the presidential candidate. The CPP issued this clarification in reaction to statements yesterday by Sen. Miriam Defensor-Santiago that presidential candidate Davao City Mayor Rodrigo Duterte is the “official candidate” of the New People’s Army (NPA). “Contrary to Senator Santiago’s claims yesterday, Mayor Duterte is not being endorsed nor supported by the Party or NPA,” said the CPP. “Indeed, Mayor Duterte has espoused certain advocacies that strike a chord among the Filipino people and their national democratic forces, including calling for peace negotiations to address the roots of the armed conflict,” pointed out the CPP. 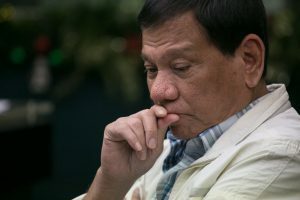 “Duterte has mostly styled himself an anti-crime crusader, a socialist and radical in an effort to win over the people who long have been disillusioned with the rotten ruling system,” notes the CPP. “However, Duterte has also advocated such counter-progressive neoliberal economic policies as expanding the public-private partnership program, prohibiting unions and strikes, providing big bourgeois compradors with state-guaranteed profits, liberalizing trade and providing foreign investors with even more incentives,” added the CPP.